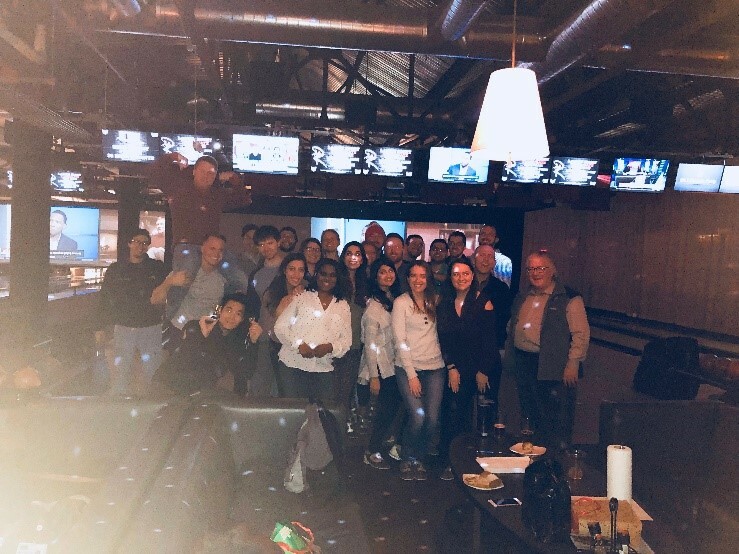 On, Thursday, December 14, 2018,The Internal Medicine Residents, together with Faculty and Administrative staff, participated in an evening of fun, food and bowling at Revolutions bowling alley. 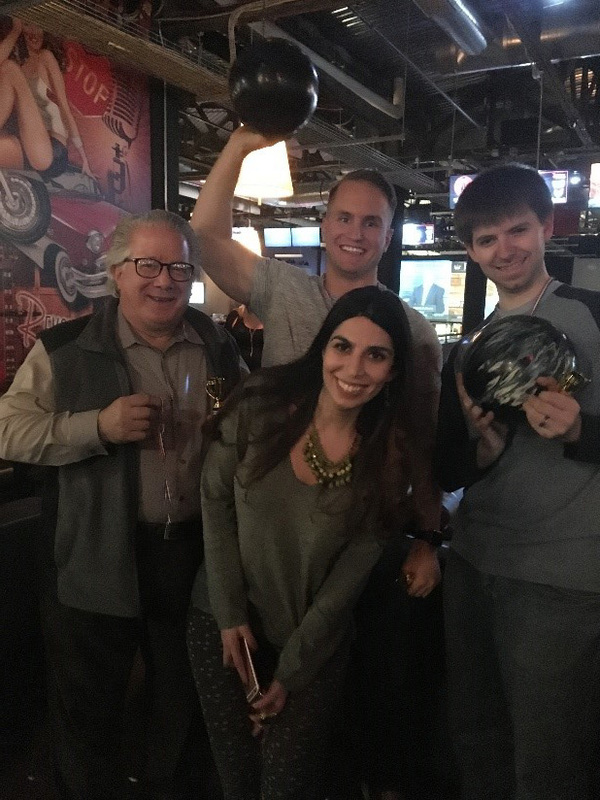 The entire group was divided into teams consisting of an Intern, a 2nd and 3rd year resident and a Faculty member who then competed for highest bowling scores. Winners were awarded “gold” medals and gained bragging rights for the next year. The event was very well attended and truly enjoyed by all. More importantly, the event did much to bring a group of hard working individual’s closer together as a team, and we look forward to the next event.